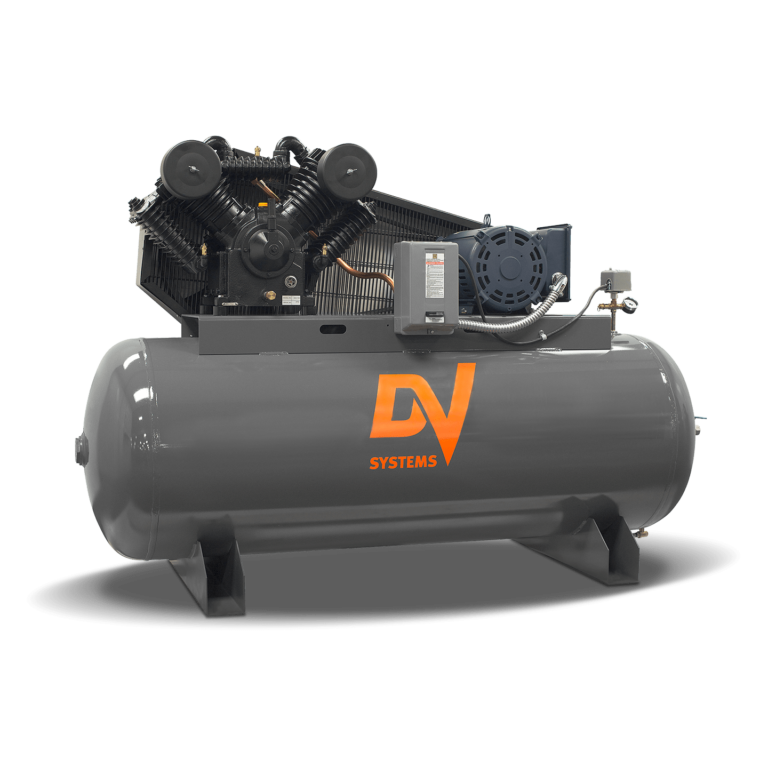 We are proud to distribute Dev Air Systems Reciprocating compressors. 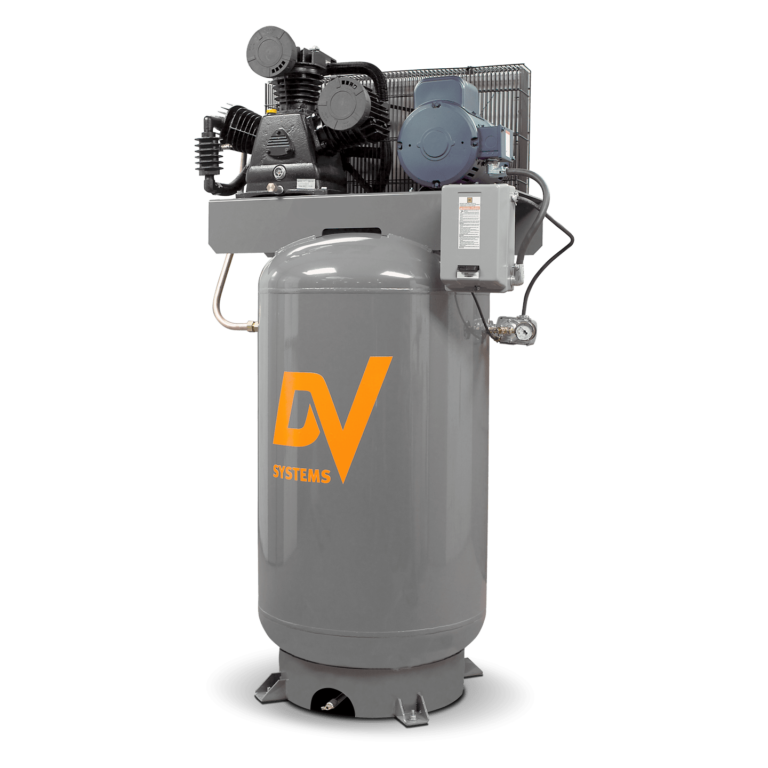 The air-cooled, Pressure-lubricated, Reciprocating Heavy Duty Industrial Series is engineered to provide a Heavy-Duty, Durable and Dependable Air Compressor built to withstand the most demanding industrial environments. Available in both Simplex & Duplex configurations, the HDI Series 5HP to 30HP is equipped with 2-Stage, 2- cylinder (247) or 4-cylinder (447) cast-iron compressor pumps powered by premium-efficiency North American made open drip proof (ODP) motors, providing reliable, high duty-cycle operation. The heavily weighted cast iron pumps and Low RPM enhance heat dissipation and enable up to 80% duty cycle. Pressure lubrication ensures oil is delivered to journal bearings and all necessary components, minimizing oil carry-over and friction.